Bethany, our School Garden Coordinator, sent me her adorable parent newsletter, “Digging in,” written for the pre-K classes she teaches weekly at our Garden Science partner school. It included the following fun (and very delicious) Rainbow Rollups Recipe that I’ve attached at the end of this post. Meanwhile, I also read an article called Opening Pandora’s Lunchbox that is one of the best adult versions I’ve ever read for the whole vs. slightly processed vs. very processed food discussion we have with our older student program participants. Whole foods, foods that are not modified from their original forms (i.e. and egg or a carrot), are great to eat, but do narrow down your dietary options quite a bit. This article teases out the (sometimes scary) differences between mildly processed food (defined in this article as something that you could reasonably replicate in your own kitchen) and a very processed food, like corn syrup or a pop-tart. I love that the garden provides such a natural and positive starting ground for talking about and tasting healthy food! Fold kales leaves in half lengthwise and cut or tear out large center ribs. Stack de-ribbed kale leaves on top of one another lengthwise and, beginning with end closest to you, roll the leaves into a thick cigar-shaped roll. Using a sharp knife, cut the rolled leaves lengthwise into thin strips or “ribbons”. Place kale ribbons into a large mixing bowl. Use a box grater to shred the carrot into thin strips. Thinly slice jicama widthwise from top to bottom several times. Working with several slices at a time, stack and cut lengthwise into matchsticks. Cut cabbage into thin strips with a sharp knife. Slice tomatoes several times crosswise into rounds. Add carrot, jicama, cabbage and tomatoes to mixing bowl with kale ribbons. Squeeze lemon juice into mixing bowl. Add olive oil, salt, and pepper to bowl and gently mix all ingredients together. Spread approximately 1 tbsp. cream cheese on each tortilla (be sure to spread cream cheese all the way out to tortilla edges). Place 1-2 scoops salad mixture on each tortilla. Top salad mixture with several avocado cubes. Roll tortillas up tightly and use cream cheese (on tortilla edges) to seal rolls closed. Wrap tightly in plastic wrap and place in refrigerator for 30 minutes, or up to overnight (allows time for rolls to soften, which helps keep them closed after slicing). Prior to serving, remove rolls from refrigerator and unwrap. Using a sharp knife, slice lengthwise into 1/2”-1” rolls. p.s. If you read our posts about how to get your kids to eat more vegetables, you might enjoy this recent article from NPR about other proven methods of improving children’s eating habits! Rejuvenated at Rooting DC 2013! It’s not every day that the Washington Youth Garden (WYG) staff gets to hang out with hundreds of people that are passionate about urban gardening in DC! It’s like a professional development spa…or a cup of motivational coffee…or maybe just a great event! But we weren’t just there observing and learning, we were giving, too. Here’s a little taste of what WYG was up to and how you can access the information we shared. Anna, our Education Manager, charmed the crowd with a speed version of our 8-week, 3rd grade level Garden Science curriculum. She had people acting out plant parts, dissecting flowers, sorting seeds and so much more. I’m not sure any seminar had more laughter spilling out the door. Her presentation was very hands on, so please be in touch with us directly if you want access to the curriculum or to volunteer and observe a Garden Science class yourself! Nadia, our Garden Manager, had a packed out classroom for her thorough DIY presentation about “Elements of Garden Design.” Access her amazing presentation here - complete with beautiful photographs. I drew on a season of field trip coordination and many more seasons of teaching experience to share some tips for theming your garden for youth education. My presentation is available here. If you weren’t there this year, don’t miss Rooting DC 2014. We’ll see you there! 1. Playing with 3 and 4 year-olds: Our school garden partnership program is still bright and full of energy regardless of how dull the ground is outside. Thank goodness kids don’t go into hibernation! 2. Planning ahead: There is something exciting about calculating all of the greenhouse space we need to borrow from the U.S. National Arboretum so that we have sufficient seedlings for our growing season. 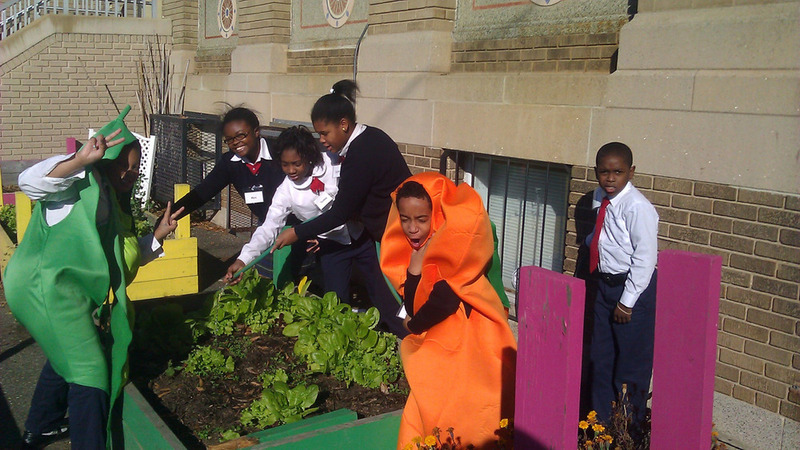 You are not going to want to miss a visit to the Washington Youth Garden in 2013! 4. Indoor Special Events: Sometimes we skip indoor functions in the spring in summer when the plants are calling us outside! But in the winter, we take part in the growing sustainable food and urban agriculture movements in DC, such as the Farm to Table Family Day at the Portrait Gallery and Rooting DC, an urban gardening conference. 5. Scrutinizing for Signs of Spring: Finding the baby crocuses popping out of the ground near the entrance of our garden took the eager eyes of our dedicated garden manager, home from a long trip. I learned my lesson and will be sharpening my observation skills. I don’t want to miss the arrival of Spring! In the beginning of January I flew on a huge metal bird from D.C. to Bali, Indonesia to get some inspiration for the 2013 growing season at The Washington Youth Garden. Okay, that wasn’t the sole reason I went but I did find myself in total awe of the handiwork work of the Balinese people, from wooden masks to bamboo and palm leaf structures to terraced gardens, all DIY. 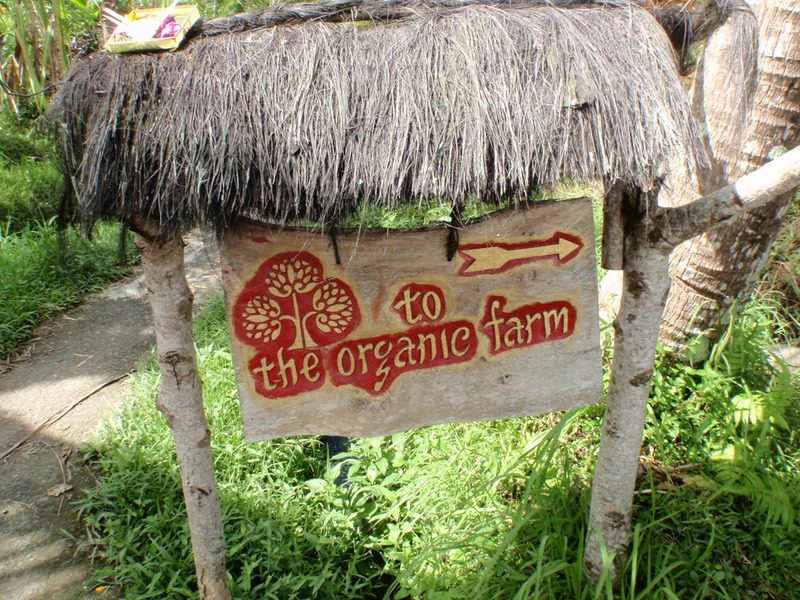 Pictured above are a few examples of Balinese design that I want to replicate and the Youth Garden. Click on the pictures for more details. The Early Childhood classes at Mary McLeod Bethune Day Academy Public Charter School (MMBDA) are “Digging In” to a gardening and food tasting adventure! Starting last November, MMBDA’s School Garden Coordinator, Bethany, began teaching once-weekly gardening lessons to Bethune’s eight pre-Kindergarten and Kindergarten classes. Throughout November and December, early childhood students learned about the vital role insect and animal pollinators play in the growth and reproduction of many of the fruits and vegetables we eat at home and in school. The children had so much fun singing songs, reading books, and making arts and crafts related to pollination and pollinators in their weekly gardening classes! Right now, MMBDA’s early childhood classes are bringing a bit of spring to the chilly winter days by blooming flower bulbs indoors (also known as “forcing” bulbs). Over the last few weeks, the children have been thrilled by watching their Paperwhite Narcissus bulbs go from dormancy to full-bloom - right in their very own classrooms! The joy and enchantment on the faces of these proud “bulb mommies” and “bulb daddies” is so heart-warming, even on the coldest of winter days! Scroll down to see instructions for how to force your own bulbs to bloom indoors! By the way, forcing flower bulbs is a fun, easy indoor gardening activity you can do at home. Just follow the instructions below to enjoy the sweet, springtime scent of your very own flower garden indoors this winter. Enjoy! Place pebbles into container, approximately 2-3 in. deep, and nestle root area (rounded end) of bulb into pebbles. Place more pebbles up to the “shoulders” of the bulb to secure it in place. Add just enough water to touch the bottom of the bulb. Place bulb in a warm (60-65 degrees is ideal), sunny location and keep consistently moist, being careful not to over-water. Bulbs will bloom in about 4 weeks. Grow it and they will eat! Technique 3: Involve your kids in the entire food process from seeding to eating. I’m a science nerd. I have a science degree, I taught secondary science for more than five years and I still can rarely resist the science feature in the New York Times. So when we decided to do a series about how to get kids to eat more fruits and vegetables, I was determined to find some evidence-based techniques - methods that aren’t just personal, but have been shown to work on lots of different kinds of people. consumption of fruits and vegetables and increase levels of nutrition knowledge among study participants (Knai, Pomerleau, Lock, & McKee, 2006). So, garden with your children. Involve them in the cooking. Volunteer at your child’s school garden. Visit the Washington Youth Garden. And don’t forget to be a healthy role model yourself! You can also just encourage them. A study done by “University College London shows that with rewards, children not only eat their vegetables, but learn to like them, too." Children between the ages of 4 and 6 were divided into 3 groups and were daily given a vegetable they didn’t like much every day for 12 days. Participants in one group received stickers as rewards when they ate the vegetable. In another group, they were simply given praise. The control group did not receive anything, but were also served the vegetable daily. Even after 3 months of time with all rewards removed, children that initially received the rewards or praise still liked the vegetable more than they did initially. And both the reward and praise group were eating almost twice as much as the control group. So whether you are into sticker charts or high fives, evidence shows that you can improve your kids’ eating habits. 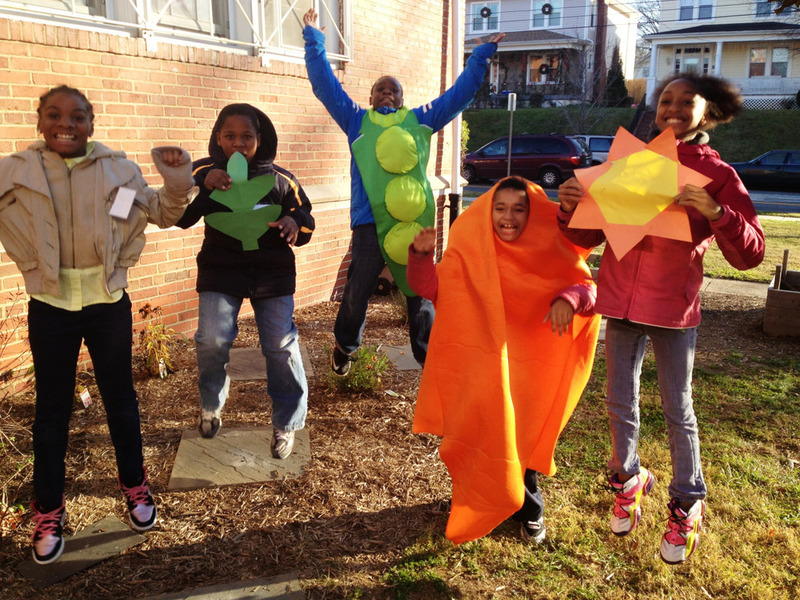 It is so important to us that children leave the Washington Youth Garden with positive impressions of healthy eating. So, welcome to Part 1 of our series about getting kids (and adults) to eat more vegetables! I used to babysit a little girl who, at age 3, would tell me after staring down the greens on her plate, “Maybe I will like it it when I am 4." Nice work, mom. At the youth garden, we encourage our students to try everything, even sour French Sorrel leaves and raw Asparagus. They don’t always like it, but they’re less likely to make a fuss give negative peer pressure if we tell them our own stories of trying a hated food years later and loving it. And we don’t let them get loud about it. We use thumbs up, thumbs in the middle, thumbs down…and if we see a thumbs down, we encourage them to keep trying it and move on to a new vegetable. 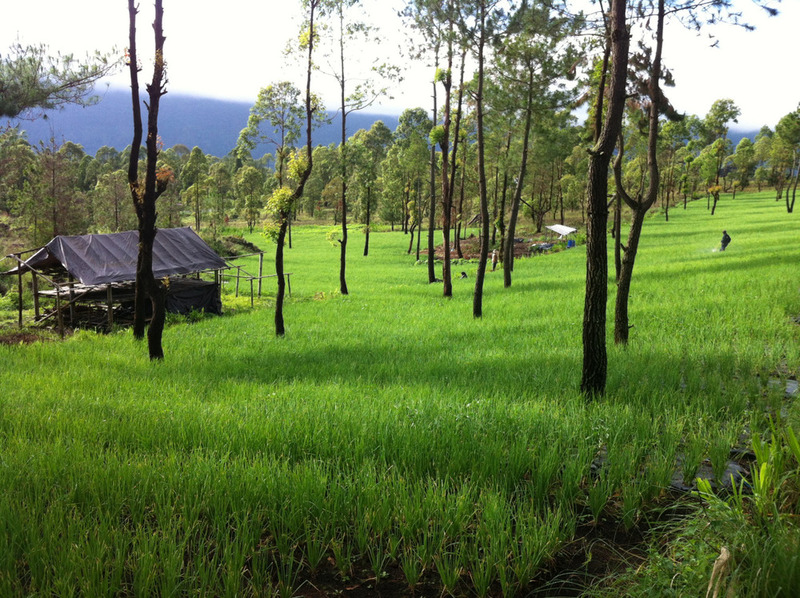 Nadia, our farm manager, spent hours at her kitchen table not eating the peas on her plate. I was extremely picky, but own mother always gave us two vegetable options and we just had to eat one of them. Whatever you decide, take heart! Both Nadia and I eat and love all sorts of vegetables now. Keep it cool and positive and don’t turn it into a war! Today was a steamy but surprisingly not too smelly morning at The Washington Youth Garden. With the help of a few strong and willing volunteers we aerated both compost piles by moving them fork by fork over a few feet. 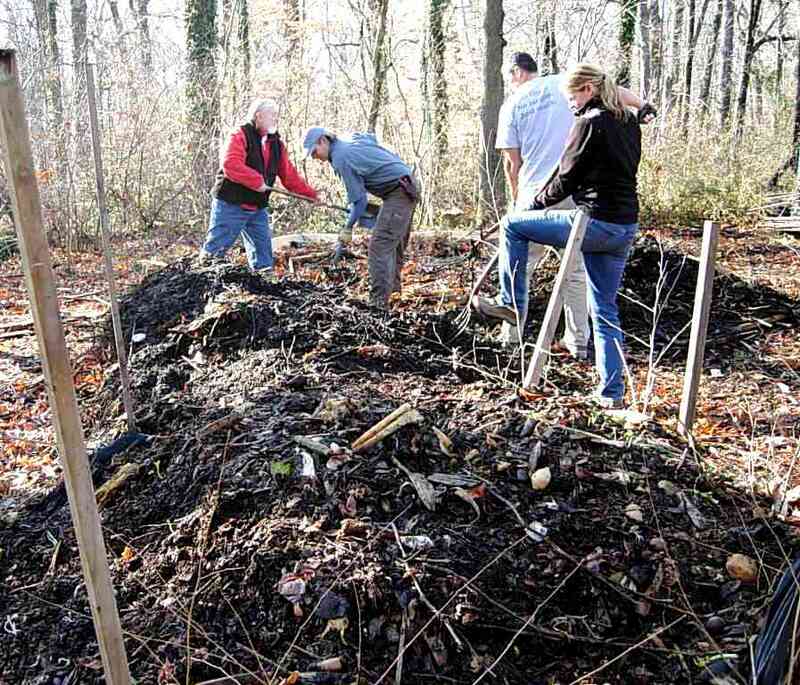 Compost needs air, water, and food just like we do to function properly. No gourmet meals required. Decomposers (fungus, bacteria, and invertebrates) living in our compost piles enjoy a diet of fallen leaves, shredded cardboard or woodchips (Carbon) mixed with your left over kitchen scraps and grass clippings (Nitrogen) at a ratio of 25:1 (C:N). Add some air and water and they’ll be moving and eating so fast your pile could heat up to over 140 degrees F, speeding up the decomposition process and killing off perennial weed seeds, disease, and pest eggs. Keep your piles covered with a porous cloth for insulation and to prevent run-off and pat yourself on the back for turning what would have been trash :( into food for your fellow organisms and healthy compost for your garden. Thanks to Compost Cab for giving everyone in DC an easy way to compost and bringing food waste to The Youth Garden! The 5th Grade energy and nutrition unit for our Garden Science program drew to a close this week with review stations, trail mix building and a photo challenge. Both because these 5th graders deserve to be featured for all their great work and learning and because we want you to celebrate yet another completion of a successful program component with us, we present these photos interpreting how energy is transferred from the sun through plants (and sometimes animals) to us! Fun by-products of this activity included some on-the-fly lettuce sampling in the school garden, a few celebratory photos, and a bit of dressing-up. Popcorn, applesauce and a farmer! If I asked you to do a word association with the title of this blog, you probably would not shout “classroom!" or "school!" But the Washington Youth Garden and our awesome partner schools fit these disparate terms together seamlessly. As the in class lesson segment of our comprehensive school gardens program, Garden Science, is drawing to a close, we are doing a lot of cooking. After our "Savory Seeds” lesson using nutrition labels, edible seed examples and lots of sorting, we rubbed some dried corn seeds off the cob, wrote up a procedure for popping them, and had a healthy snack. Students took home an envelope of popcorn kernels (just dried corn seeds, remember?) and their procedure to try making it at home. This week, we made applesauce as part of a nutrition discussion about whole foods, lightly processed foods that still contain many of the healthy parts of the original whole food, and heavily refined and processed foods. Students tasted their creation and went home with a delicious, lightly processed applesauce recipe to share with their families. You can try it, too! I can vouch for both the ease of preparation and how delicious it is. Hint: You don’t need the lemon if you’re using Granny Smith Apples! And last, but not least, our partner school John Burroughs Education Campus hosted a STEM careers day. Our garden manager, Farmer Nadia, was invited to share about her job with the 1st and 2nd grade students. She had a rapt audience. And popcorn on the cob! Don’t you want to come learn with us?? Some of our Washington Youth Garden staff participated in a fantastic Life Lab training workshop a few weeks back and we tried out a few of the activities ourselves before introducing them to students. You can participate in this activity, too! 1. Take an egg carton and write 2 different adjectives (i.e. wet/dry, soft/hard, etc.) along the bottom of each of the 2 rows. Create as many egg cartons as you have participants (or pairs of participants). 2. Hand each participant an egg carton. Only the person holding the egg carton should look at the 2 adjectives. 3. Give participants about 10 minutes to fill up each side of the egg carton with natural objects that correspond with the adjective written on the bottom of the row. For example, if my adjectives were soft and hard, one row would be filled with soft objects like cotton or flower petals and the other with hard objects like wood chips or little stones. 4. When participants re-congregate, have them try to guess the adjectives written on each others’ egg cartons by only looking at the collected objects. If you did this activity with a large group, you can have participants swap with one other person or pair rather than working as a whole group. Congratulations! You just learned a great new garden education game! An unnamed member of the Washington Youth Garden staff purchased this off the 50% off rack at Safeway in a weak moment and found it tasted quite a lot like honest Mac and Cheese with a hint of broccoli. Does anyone else think there is something a little wrong when it’s acceptable for a food manufacturer to market its product with a back panel that berates vegetables for their “overt vegetableness?” Should we have to sneak veggies into our kids’ meals? It’s time to rebuild our connection to our food! This fall, the universe conspired for a unique collaboration at John Burroughs Education Campus, a Garden Science partner school. Garden Science is WYG’s school-based program that delivers classroom lessons and supports schools in developing school garden programs. City Year, an AmeriCorps service program specifically focused on supporting under-served urban schools, had coincidentally selected Burroughs as the site for their annual Make a Difference Day. And who was planning the murals and helping to organize the event? My brother Mike! Of course, I had to come out to help paint the “Six Parts of Plant” mural. But the City Year volunteers didn’t just stop at murals. Bethany (Burroughs’ school garden coordinator) and I were also delighted about the new garden shed (with a clear roof!) 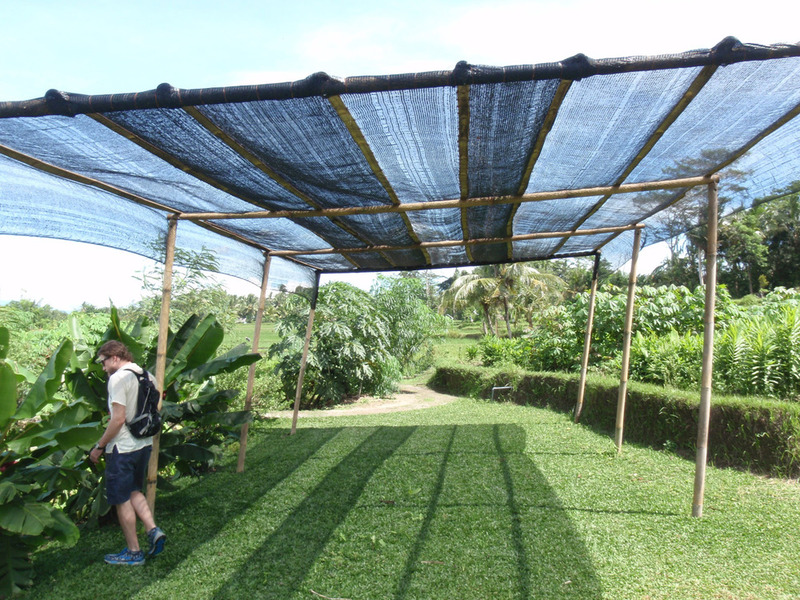 that they constructed in our newly relocated outdoor garden classroom. High fives to garden sheds, plant murals and unstoppable brother/sister teams! 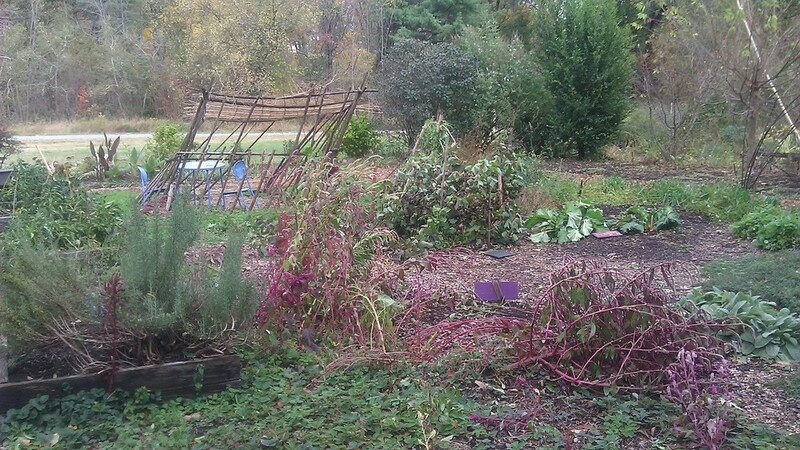 On a blustery fall day not so long ago, two Washington Youth Garden staff played and learned with other DC garden educators at Stoddert Elementary School’s outdoor classroom. 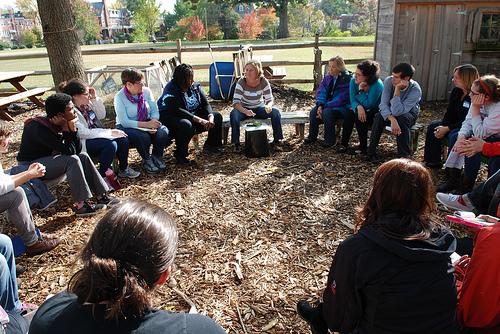 In an all-day workshop with the Executive Director of Life Lab, one of the nation’s leading garden education programs, we discussed best practices and participated in a variety of indoor and outdoor lessons. The training was hosted by the Growing Garden Teachers Series, a program of DC Greens in collaboration with OSSE on the final day of DC’s Growing Healthy Schools Week. Two of WYG’s partner schools were also proud participants in Growing Healthy Schools week. 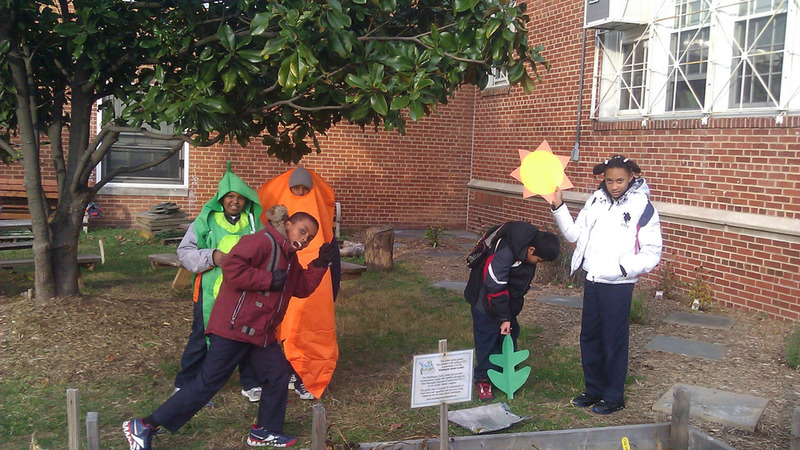 The new outdoor garden classroom at John Burroughs Education Campus was featured on the annual DC School Garden Tour and Bethune Day Academy was recognized with a Best Sustained School Garden Honorable Mention. 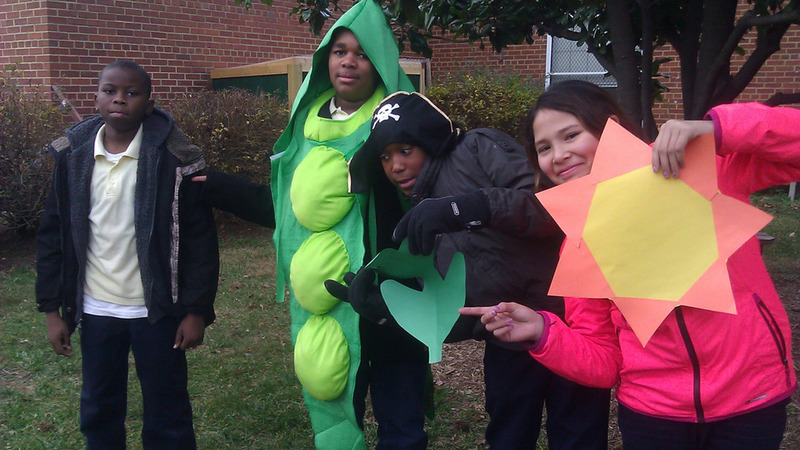 For more information about the growing momentum growing around DC school gardens check out the DC Schoolyard Greening website. **A big thanks to DC Greens’ Sarah Bernardi for the photos! 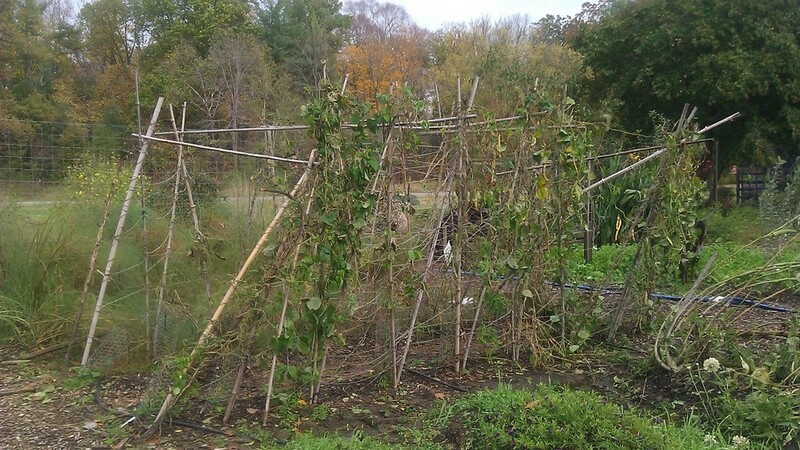 While Hurricane Sandy devastated regions further north, the damage in the Youth Garden was more on the comical side. Today we’re doing a final harvest to donate to Miriam’s Kitchen and saving a little for our Garden Science classroom lessons. We’re taking stock of the the abundant garden season, diving headfirst into our school-year program and planning for next year. Things never slow down too much around here and that’s the way we like it! 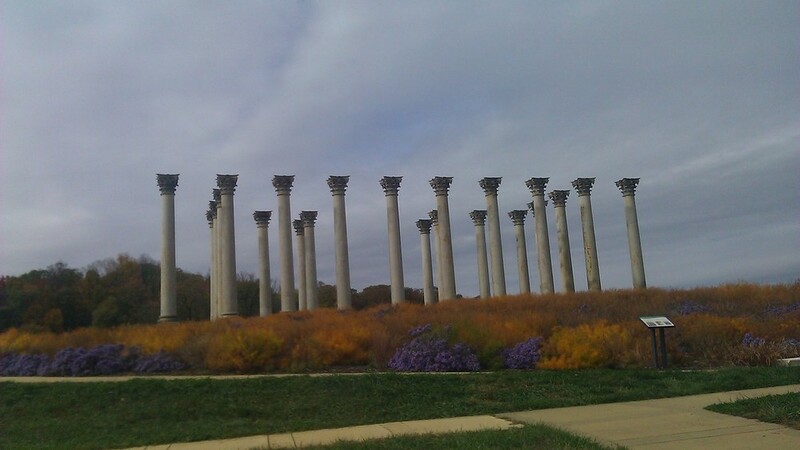 Note: The Capitol Columns are NOT part of the Youth Garden, but I couldn’t help including a photo of them; they are so beautiful right now and emphatically not phased by the wild weather. Come out and visit before it gets colder! We want to thank everyone who came out for the Garlic Planting Party. Many hands planted garlic, young faces were painted, pinatas were smashed, and the garden was enjoyed to the fullest. 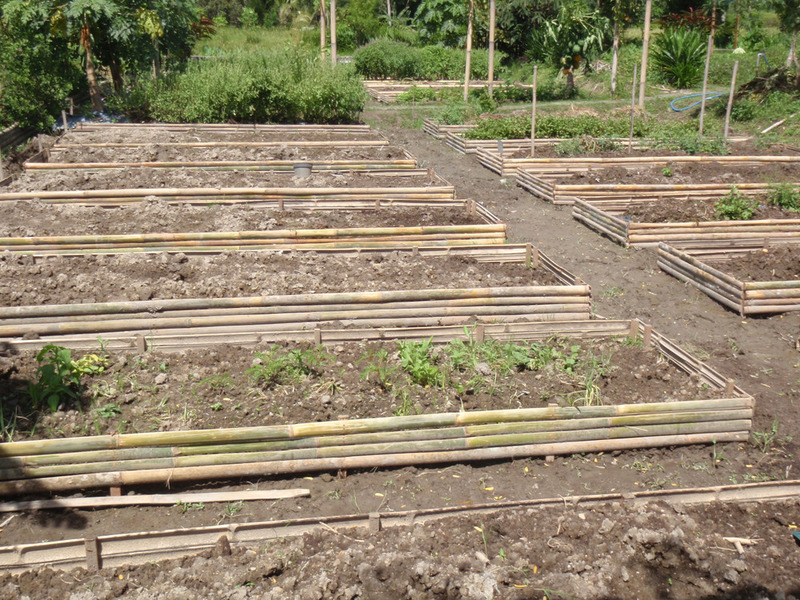 The undulating laughter that rose from the Sudan grass maze set the mood while we harvested carrots and chewed on sugarcane. It was beautiful to see our diverse community coming together in celebration of our common joy; the garden, fall, nature, and one another! Lily has been volunteering with the Youth Garden for the past two years since discovering the garden during her daily afternoon walks through the Arboretum. Lily is a knowledgeable gardener who brings a unique perspective to our garden. She grew up Southern India and has introduced a few new species to the garden. She donated a little gourd plant, which looks and tastes like a mini-cucumber. Little gourd can be used in many dishes and helps to strengthen your gums. In addition to little gourd, Lily also donated curry plant, bitter melon and jasmine. Both the leaves and the fruit of the curry plant are used to season meats and curries in many Indian dishes. 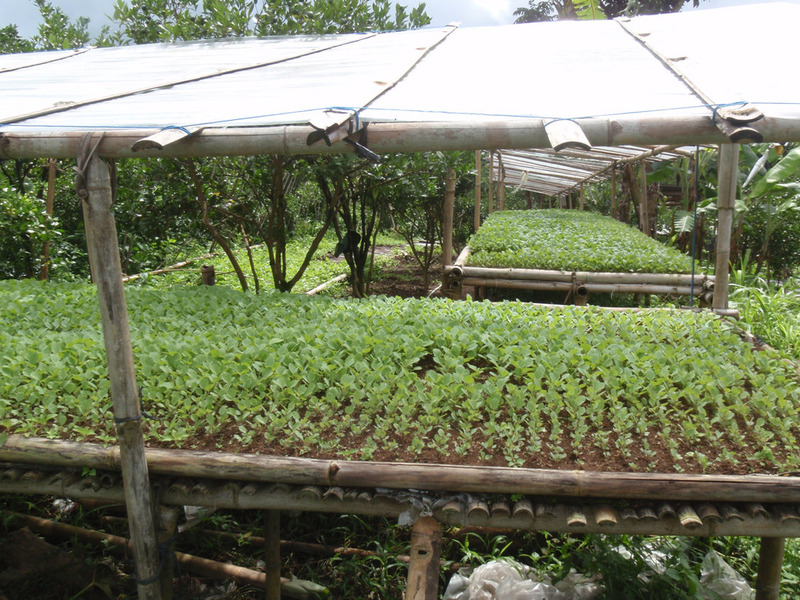 After harvesting the leaves and fruit of the curry plant, they can be stored separately and keep for a long time. The bitter melon and jasmine are also staples in Indian dishes. It’s fun to have these plants in our garden adding a little bit of South Indian spice to our bounty! The garden has also provided a bit of a haven for Lily. She came to the United States in 1985 to be closer to her brother. She enjoys coming to the Youth Garden to walk around and garden because it reminds her of her childhood in India. Additionally, both her daughters and her two grandchildren now live in the D.C. area and she is able to share her passion for gardening with them. Being surrounded by the yard long beans, okra and all the other plants make Lily feel right at home and is the reason Lily comes to visit the garden. Next year she plans to introduce a large gourd plant to the garden, which she promises will amaze us all with its gigantic fruits. We can’t wait for Lily’s next addition! Lily standing next to the little gourd plant. Based on the title, you might think I was describing a super hero. But the Washington Youth Garden thrives because of generous and skilled volunteers like Heather! 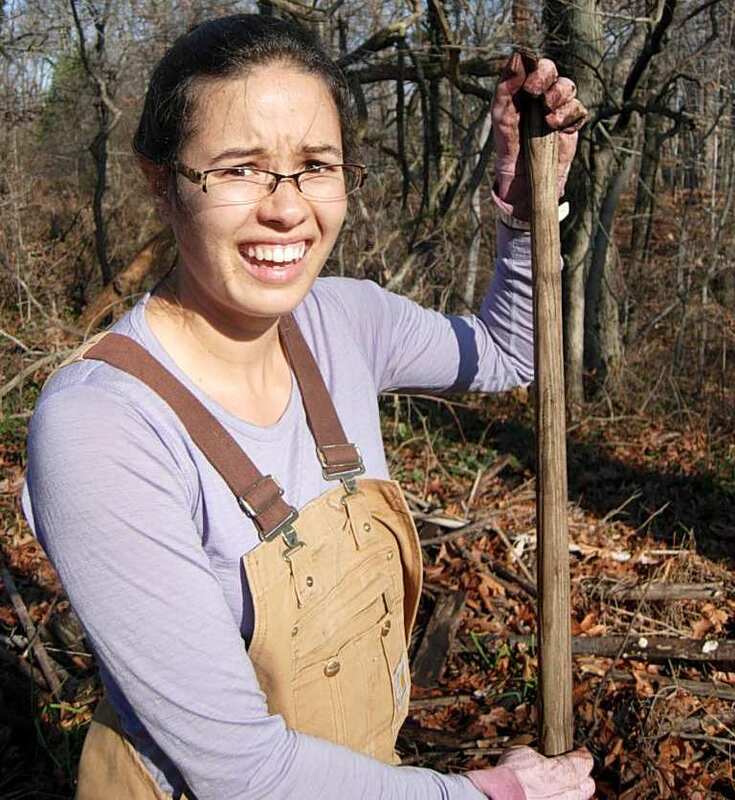 Join me for the first of many profiles of our diverse, unacknowledged staff! 1. For you, what is the most therapeutic garden chore? I, oddly, like weeding, as long as its finite. I like finishing a bed. 2. If you had to live in one of the theme gardens, which would you choose? I would live in the MyPlate (www.ChooseMyPlate.gov) garden because I like variety! 3. What has been your best moment in the Washington Youth Garden so far? The best thing was an impromptu field trip that I gave while I was weeding. A mom with three kids came in and she had just planted her first tomato. I gave her a tour and she went away really enthusiastic, which I think is our goal.